The Gunflint Trail is rich in fabled history. This page highlights some of the local and online resources to explore to learn more about the rich legacy of the region. 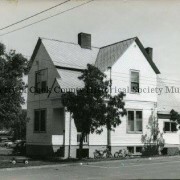 For the history of our lodge, go to “About Us” and visit our page History of Clearwater Historic Lodge. Chik-Wauk Museum And Nature Center is a must-see for the history buff and anyone curious to learn more about the unique Gunflint Trail region. Open Memorial Day through the 3rd weekend in October, it sits on the beautiful Saganaga Lake as a centerpiece of anthropological, natural, historic, and prehistoric knowledge of the area. The museum also contains a considerable amount of information about Clearwater Historic Lodge. This brief video is a nice introduction to the Chik-Wauk Museum and Gunflint history, produced by the Gunflint Trail Association in 2009. Learn more about the Gunflint Trail at www.gunflinttrailhistoricalsociety.org or www.gunflint-trail.com. 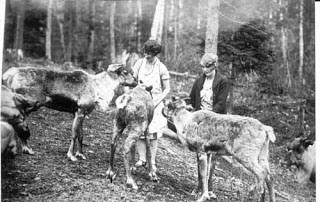 Enjoy perusing this collection of stories about the Gunflint Trail and its people. In particular, check out the blog dated February 18, 2009 “Charlie Boostrom’s Caribou” about Clearwater Historic Lodge’s founder Charlie Boostrom and the reindeer he imported from Alaska as part of one of his entrepreneurial ventures. (This particular one did not succeed.) This article was sourced from Cook County Historical Society archives.